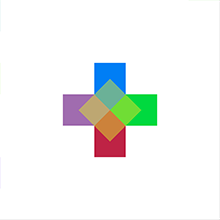 Guess the hidden color in the middle of the cross. 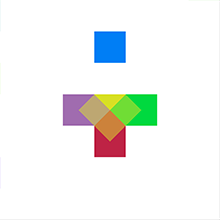 The cross on the left consists of five squares. 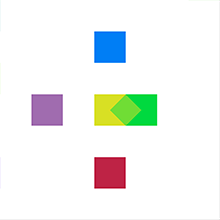 Areas where squares touch are colored with the mix of colors of those two squares. 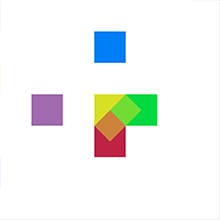 The task is to guess the hidden color of the central square by choosing from the selection of nine colors on the right. 'Show' reveals the hidden color after you answered correctly. 'New' button generates a new random set of colors. You can toggle between white and black backgrounds of the game ( ). In the desktop version of the game you need to use the color picker on the right to mix your guess. Press 'Show' when you think you're done. 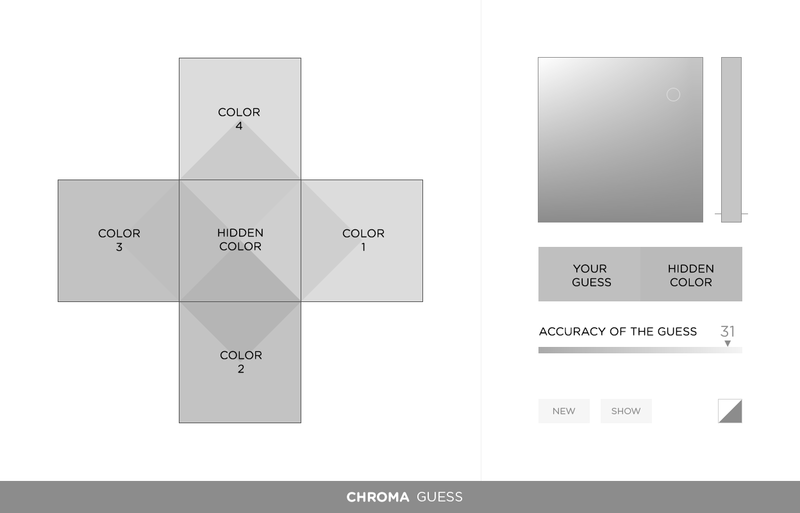 The hidden color will appear next to your guess, and you will be able to compare them. Your result will be caclulated on an accuracy scale*, and the smaller number you get, the better. 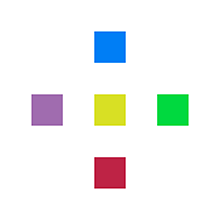 *The similarity between two colors is calculated by placing them in a three-dimensional color space. The accuracy scale number is the distance between the hidden color and your guess. Choose 32-bit or 64-bit version. Don't move ChromaGuess.exe file from its folder. Before starting the application check your Security & Privacy preferences. Set "Allow apps downloaded from" to 'Anywhere'. You might be prompted to update to the latest version of Java.